4-pc. Rainbow Bunnies - 1 oz. 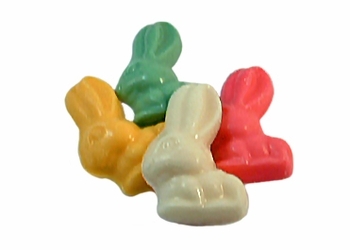 An Easter favorite, this four-piece packet of bunny-shaped pieces has an assortment of pink, yellow, white, and green. The pastel coating tastes like white chocolate.